Traditional approaches to understand space tend to view public space mainly as a shell or container, focussing on its morphological structures and functional uses. That way, its ever-changing meanings, contested or challenged uses have　been largely ignored, as well as the contextual and on-going dynamics between social actors, their cultures, and struggles. The key role of space in enabling spatial opportunities for social action, the fluidity of its social meaning and the changing degree of "publicness" of a space remain unexplored fields of academic inquiry and professional practice. 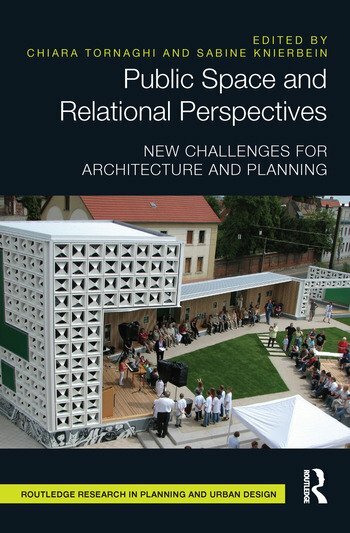 Public Space and Relational Perspectives offers a different understanding of public spaces in the city. The aim of the book is to (re)introduce the lived experiences in public life into the teaching curricula of those academic disciplines which deal with public space and the built environment, such as architecture, planning and urban design, as well as the social sciences. The book presents conceptual, practical and research challenges and brings together findings from activists, practitioners and theorists. The editors provide eight educational challenges that educators can endorse when training future practitioners and researchers to accept and to engage with the social relations that unfold in and through public space. Chiara Tornaghi is Researcher and Teaching Fellow at the School of Geography, University of Leeds, UK. In 2009, she was the City of Vienna Junior Visiting Professor at the Centre for Public Space and Urban Culture (SKuOR), Vienna University of Technology, Austria. Sabine Knierbein is Assistant Professor for Urban Culture and Public Space (tenure track) at the Department of Spatial Planning, Faculty of Architecture and Planning at Vienna University of Technology, Austria. She has directed the Interdisciplinary Centre for Urban Culture and Public Space since 2008.